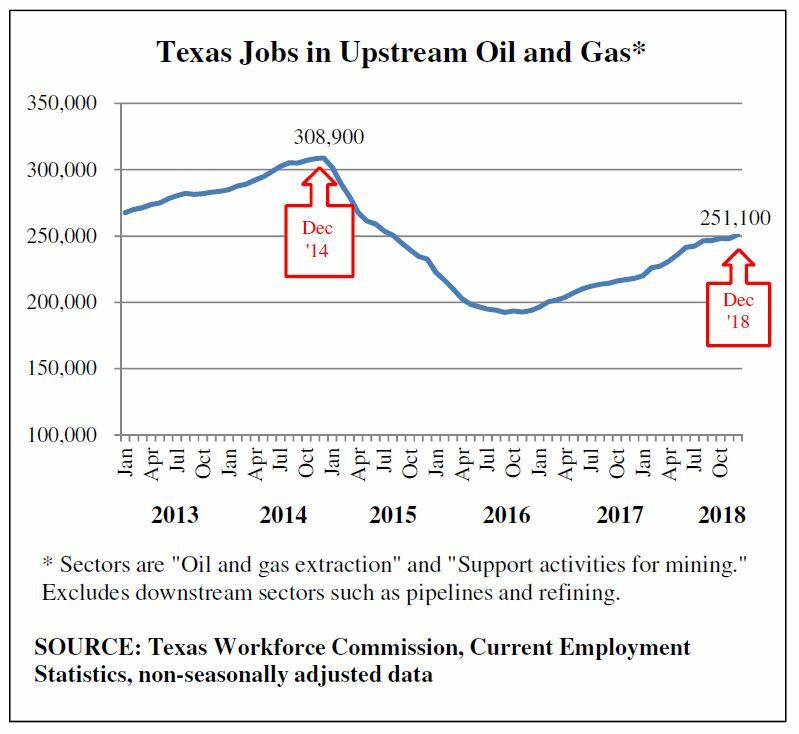 AUSTIN – Upstream* oil and natural gas employment rebounded with a 3,200 job gain in December, offsetting the 300 job drop in November, according to data from the Texas Workforce Commission. Texas has recovered 50% of jobs lost between the high point in employment in December 2014 and the low point in September 2016. Since the low point, employment in the Texas upstream sector has grown by 58,700 jobs, which pay among the highest wages in Texas. *Upstream activity includes oil and natural gas extraction and support activities for mining and excludes other industry sectors such as refining, petrochemicals, fuels wholesaling, oilfield equipment manufacturing, pipelines, and gas utilities.